Paper Converting Machine Company is a United States based company, specializing in tissue converting, printing and packaging. Paper Converting Machine Company offers a variety of tissue converting equipment, tissue packaging equipment, non-woven converting equipment and flexographic printing equipment. 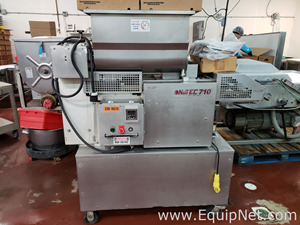 EquipNet's MarketPlace inventory include used Paper Converting Machine Company equipment, such as log saws, Industrial tail sealers, roll accumulators, and more Paper Converting Equipment. If you don't see the used Paper Converting Machine Company equipment you're looking for, call one of our representatives and we'll find it for you.